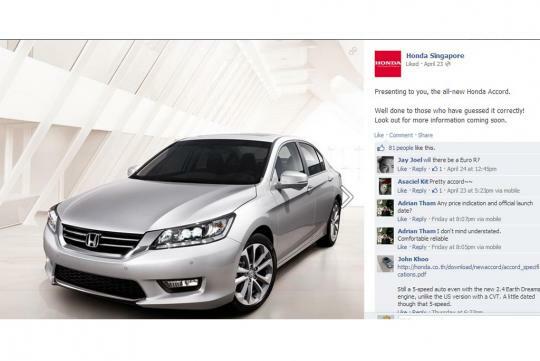 A recent visit to Honda Singapore's Facebook page revealed the impending arrival of the all new Honda Accord. The ninth generation Accord already went on sale in the North American market back in September 2012. Since the past two generations of the Singapore-bound Accord hail from Thailand, the factory source of the latest version is almost a forgone conclusion. 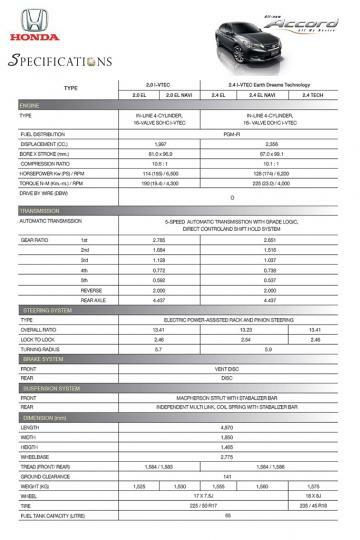 The specifications of the Thailand Accord will tell a lot about the model that we will be getting. The new Thailand Accord is available with a 155bhp 2.0-litre i-VTEC engine or a 174bhp 2.4-litre i-VTEC Earth Dreams Technology. The 2.4-litre unit is a brand new engine from Honda that employs VTC (Variable Timing Control) and direct injection technology with extensive friction reduction measures. 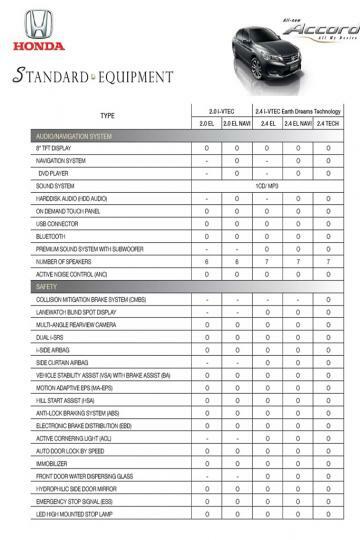 This is in addition to the usual DOHC and VTEC technologies. Both engines are mated to a five-speed automatic transmission. This may sound a tad disappointing as class competitors such as the Kia Optima and Mazda 6 have already adopted a six-speed setup. 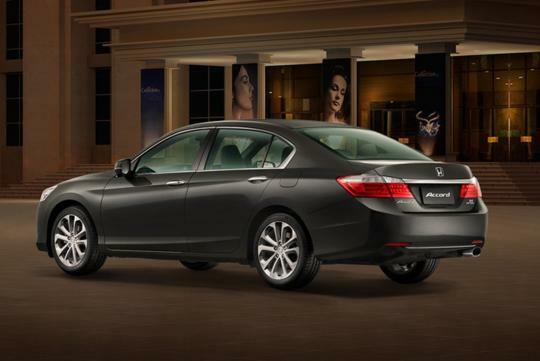 Measuring 4,870mm by 1,850mm by 1,465mm (L x W x H), the new Accord is shorter but wider and sits lower than the outgoing model. The front double wishbone suspension has been replaced with a MacPherson strut design while the rear retains a multi-link setup. 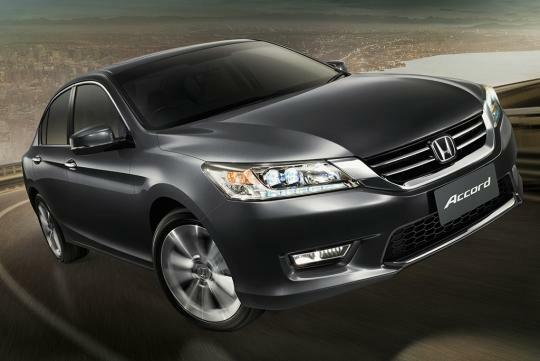 It is the first Accord to use a strut suspension since the second generation. From a safety aspect, the new Accord is available with Collision Mitigation Brake System (CMBS) that alerts the driver of an imminent front end collision and applies the brake automatically. The Honda Lane Watch Blind Spot Display provides an enhanced view of the passenger-side roadway. The 2.4-litre variant comes equipped with six airbags while the 2.0-litre makes do with four. 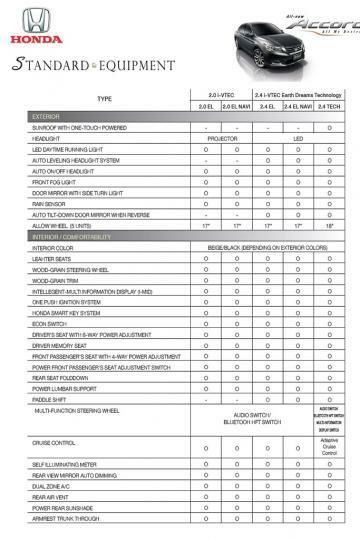 Vehicle Stability Assist is standard across all models. The complete specifications of the new Thailand Accord can be found below. the back view reminds me a lot about the old CG Accord..